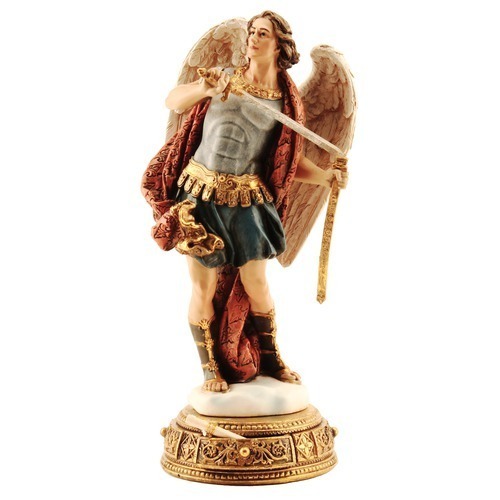 From the Heavenly Protector line by Joseph's Studio, this masterfully painted St. Michael, the archangel statue stands on a base with a small drawer that contains a scroll with a reverent prayer to the saint. A portion of the prayer is..."St. Michael the Archangel, defend us in battle. Be our protection against the wickedness and snares of the devil." Detailed facial features along with rich colors create a mighty and completely striking depiction of our universal protector.